No need to register for these events, just show up and we will be there to greet you. Dear SFC followers and participants: Over the years since 1993, our founding year, we have had a 'pretty good run' and we introduced you to many natural health therapists, psychics, spiritual explorers, wellness educators, and the unusual and 'undefinable', in keeping with our broad mandate and objectives - as per our website as initially set out by founder, George Kokich. 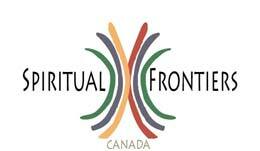 We owe the existence of Spiritual Frontiers Canada to George. An SFC email will be sent to all on our SFC List by 31 May 2019. Spiritual Frontiers may be continuing or restarting at a new location, likely in a new time frame, and on a different day or evening, and perhaps with a fee for operations. Many of these changes would depend on your ideas and feedback sent before the end of MARCH 2019. Please, your ideas, comments and thoughts are very important! All emails should be sent to Jean-Louis Dube, your President "jldube@rogers.com"
Jack Falt for sending out the SFC monthly update emails to you. Donna-Lou Mowat and Hannah Duquette for their serving as welcomers at the door. We honor these volunteers for helping carry out smooth functioning for all events. Thursday, November 1, 2018 at 7:15 - 9:00 pm "The Final Event at the Citizen"
This will be a celebration and a Learning Social. Come and share some key or special insights or technique(s) that you learned, discovered, or received from SFC over the years. Voluntary, of course. Perhaps you experienced a change in your spiritual outlook or beliefs, or acquired some new wisdom that influenced or changed you, or you wish to share some health and wellness insights or techniques? No need to give any handouts but please bring some paper and a pen. Volunteer mini-speakers or presenters or demonstrators will be offered a 'minute' - or a 2 to 5 minute time frame for the evening menu. This should be an enriching, fun, not-too-serious community sharing event. Take a chance. Just show up and enjoy. Ginger ale and juice will be provided. We are so blessed to have Pete Bernard, Algonquin Medicine Man, Shaman, Teacher as our guest speaker. Pete always is divinely guided as to what he will deliver in his message. It is always what we need to hear and is so meaningful in our lives. See you at the Citizen on Oct. 4 ! As well, Pete has recently started the 8th Fire Shaman Training, and is offering again to the public his end of month Gathering of Souls/Fall Equinox Evening at the RA Centre, THIS Saturday, September 22, at 7 pm - 9 p.m. when he will deliver one of his "need to hear" messages that will make us take a pause and look at our options with life. A new experience for some SFC participants at this time. Thursday, September 6, 2018 at 7:15 - 9:00 pm "Hand Acupressure and Hand Reflexology"
with Jean-Louis Dube and Dora Joseph, Wellness Educators. "Can Your Hand Acupressure/Hand Reflexology Treats Help You To Higher Level Wellness?" Come for an exploration (and review?) of specific and general hand techniques and tips to minimize stressors, better balance your daily energy, and learning self-care. Bring notepad. We will provide hand wipes. Thursday, August 2, 2018 at 7:15 - 9:00 pm "An Evening of a Facial and Wellness Experience"
A Lazy Summer Evening Of A Face/ Facial Reflexology/ Acupressure Treat And Wellness Experience" with Jean-Louis Dube and Dora Joseph, Reflexologists and Wellness Educators. We are offering a face awareness review and demonstration evening with a mini-sharing of face / facial reflexology and acupressure techniques. By participating you will feel energized and better manage your summer stresses, tension, and some anxieties, if any ? We will try self-application exercises and techniques as well as partner-sharing and parallel treating. Come with an open, ' lazy summer attitude ', and take on some proactive action. Please bring a clean face and we will supply the wipes. You should leave with a smile and feeling a million dollar face. As a bonus to our group session you can learn to apply your thumb and index finger on your ear lobes and around the helix of the ear, etc. for a quickie intro to auricular (ear ) reflexology. Wednesday, July 4, 2018 at 7:15 - 9:00 pm "A Musical Evening and Singalong" with George Kokich"
George Kokich, is a professional world class piano-accordionist who musically entertains many people on an almost daily basis, especially in hospitals, nursing homes and retirement residences. His approach is not necessarily to impress the audiences with his technical musical skills or to just play music. Instead, "EIO George" uses his own special approach to lift human spirits by playing and singing familiar "olde - tyme" music, leading happy sing-alongs, and telling humorous stories. During his presentation to SFC, George will share some of his most memorable heartfelt and spiritually-related experiences, and will play some of the most requested songs desired by us, and lead a sing-along for us. Please do attend if you truly want to have an enjoyable fun-filled evening. According to some beliefs, music lifts the planet's vibrational levels. George, always remembered as our honourable SFC Founder over 20 years ago, is a great pleasure to welcome back again to The Citizen. He advises us that he is presently working on a book about his transformative spiritual journey. Not to miss. Mark your new calendars. Thursday, June 7, 2018 at 7:15 - 9:00 pm "Exploration of Intuition Technology (IT)"
with SFC Program Director and Treasurer Dora Joseph. An Exploration of Intuition Technology (IT) which includes Dowsing, Energy Balance, MBTI & Heart Math with Dora Joseph, Spiritual Detective, SFC Article & Program Coordinator, SFC Treasurer, SFC Volunteer, Wellness Educator. We will present a general approach to see if we make decisions from the heart or head and how we generally manage our intuition. We will use intuition and intent for assessing energy on a partner; for assisting participants to balance energy with a partner using hands and a dowsing tool. We will check / assess the energy on a partner and then change roles. We will also try our dowsing tool on ourselves. If possible please bring a pendant or tie an item to a string for your dowsing tool. The participants should be willing, to some degree, to do some energy balancing and depending on each person's aptitude, to learn some of the techniques. We all have the capability and we just have to do the work. Take a chance, join us, and get to use some of your spiritual detective skills! Bring a friend. Thursday, May 3, 2018 at 7:15 - 9:00 pm "A Two-part Session. Something Very New"
Part 1: "Looking At Yourself And Others By Self - Listing"
An opportunity to try list-making as a way to self-discovery, a method of probing and creating a provocative or personal adventure into your mind, heart, body and soul. You only need to respond by listing voluntarily in written form as per requests and questions given by Jean-Louis. Are you up to it ? Just bring a notebook and a decent pen. (Required). Or, you can simply observe and listen. There likely will be some spiritual insights regarding whom you have been and, possibly, may be in the process of becoming. Be willing to just care/share/dare to maximize the session and to be able to carry ' your listed self ' homeward to further reflect upon with friends and family. Part 2: "I Am Not Quite What I Was Expecting"
Enjoy a short exploration of your 'memoirs' in a unique way (to be explained ). It may be helpful to refer or to reflect on your results in Part 1 above for help or for 'fuel'. Take a risk in writing down some memoirs as directed ... in a light-hearted way. You can be unseriously serious, or be seriously unserious ! Option to focus on your spirituality or evolution to date (or on your gravestone). Curious ? Bring a friend. At 8:50 p.m. if group energy warrants...in a 5 or 6 word sentence what do you consider your greatest likely accomplishment to date? Thursday, April 5, 2018 at 7:15 - 9:00 pm "A Personal Look At Psychic Abilities And Channelling"
There will be an introduction to different psychic abilities, the opening process and learning curves of what types of experiences may/can happen. Angela will cover how to be aware, how to ask questions and how to be open to our own spiritual answers and signs. There will be some focus on how to hear and listen to our highest self. Also, there will also be a portion of the evening where Angela will channel some messages for the audience. She has factored in some time to answer questions. Background: Angela Azaria is a spiritual guide, practitioner, teacher and messenger. Through years of self practices and modalities including meditation and Reiki, Angela started noticing she was receiving universal information and messages. She has since honed her skills to channel spirits, angels and guides while teaching others to follow their own highest wisdom and compasses. Angela's focus is to bring forth spiritual messages, to being a bridge to love, and to teaching others how to open up to their own spiritual potential and guidance. Angela can often be found channelling messages with the Ottawa Interfaith Spiritualist Church on Sundays 1 pm at 888 Byron Ave. in Ottawa or through her website: www.loveheals.ca and facebook page: Loveheals.ca. The evening will open with Dora-Lynn relating her personal history with these essential oils and sharing her personal favourite from this year and why it is essential. As the universe is waiting to show our own special or best essential oil to us, we will dowse or learn some dowsing techniques to ask which oil will do the most for us. She will explain how to utilize their powerful energies to help make our own signature deodorant, mouthwash, etc. We will discuss and explore certain essential oils that can set the mood for peace and love. Some samples will be provided for our personal use. This will be a light-hearted evening of demonstration, sharing, discussion, individual attention, and learning. Bring a pendant for dowsing or at least a small object with string tied to it...to use as your dowsing tool. We can also use our own body to dowse. Thursday, February 1, 2018 at 7:15 - 9:15 pm "FEEL YOUR FLOW - FEED YOUR GLOW!" During this hands-on session we will harmonise our energy patterns and work together, as a group, to increase our ability to feel the flow of our energy currents and to engage with these flows by feeding them intentions and emotions that 'up' their glow. We will do this with a mixture of techniques including inner journeying, visualisations, energy work and conscious breath cycles - and we will be applying these techniques on three fronts simultaneously: the central line (spine and chakras), the center of Being (sacred heart/core star) and the auric field (subtle bodies). My goal is to offer you simple yet powerful ways to expand the frequency of your energy system, and hopefully show you that a new relationship setting for our multiple faculties - one of HARMONY - is not only possible but doable NOW!!! SHORT BIO : JULIE CLAIRE Ever since I can remember, I've been on a path of integration and harmonization of the many dualities we get to play with as incarnated beings (head-heart, intellect-intuition, male-female). I have been blessed to find mentors that greatly helped me to heal the split within by teaching me Quantum Liberation, Shamanic Healing, Mystical Alchemy, Energy Harmonisation and more recently, Human Design. I also have deep gratitude for the decade I spent in Academia and the wisdom I gained from going all the way up to doctorate studies that ironically led me to leave that institution behind and fully devote myself to Spirit. My private practice is focused on my passion : Soul Expansion. I lead groups as well as individuals into deep explorations of their Inner Landscape, an energetic structure that greatly facilitates connecting to guides, angels, and other helpers, as well as reclaim all gifts, talents and powers gained from many lifetimes here on Earth. All this serves the higher purpose of awakening the memory within us of the vast galactic community we are an intrinsic part of, and the role we play as conscious beings enlightening the Universe. Participant contributions? ... yes, you can offer a mini, please help us out ( fcfs - first come, first sharing)! Some special affirmations to share with family/friends. Do you have one ? Come with a smile, stay awhile !
" Wellness is wealth "